Many commentators, regulatory agencies and politicians have blamed the risky behaviour of both financial institutions and their actors for the collapse of the United States sub-prime mortgage market which in turn precipitated the global 'Credit Crunch'. 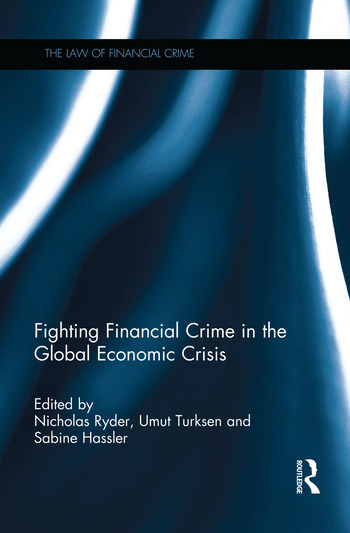 This edited volume explores how financial crime played a significant role in the global economic crisis. The volume features contributions from internationally renowned academic and practitioner experts in the field who pinpoint some of the most important facets of financial crime which have emerged over recent years. Key subjects include: the possibility of criminalising reckless risk-taking on the financial markets; the duty of banks to prevent money-laundering and corruption; the growth of the Shadow Banking System; and the manipulation of LIBOR by banks. The book illustrates the global nature of financial crime, and highlights the complex relationships between regulatory bodies, law enforcement agencies and private actors in the attempt to limit the harmful effect of white collar crime on the stability of the financial sector. This book will be of great use and interest to scholars, practitioners and students within the field of financial crime, banking and finance law, and international political economy. Dr. Nicholas Ryder is Professor in Law at the University of the West of England, UK. Dr. Umut Turksen is Associate Professor in Law at the University of the West of England, UK. Dr. Sabine Hassler is Senior Lecturer in Law at the University of the West of England, UK.